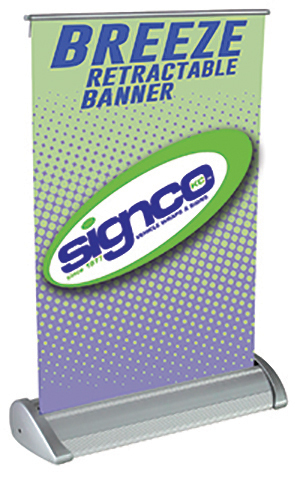 Signco Kansas City Table Top Retractable Banner stands are ideal for trade shows, point of purchase advertising, kiosks, retail counters, and any surface that has room for a small display! 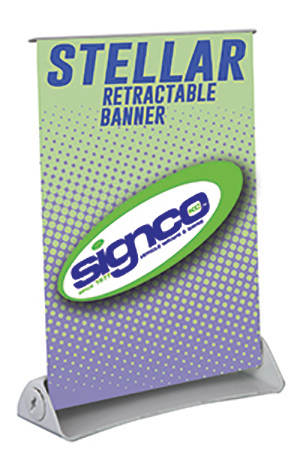 Our table top retractable banner stands a give your products and/or services the boost they deserve. The Breeze tabletop retractable banner stand is ideal for custom calendars, small signs and other promotional banners.The Breeze comes in 2 sizes, 8.37”W x 13”H and 11”W x 19”H. The Stellar tabletop retractable banner stand features a lightweight, injection-molded white plastic base. 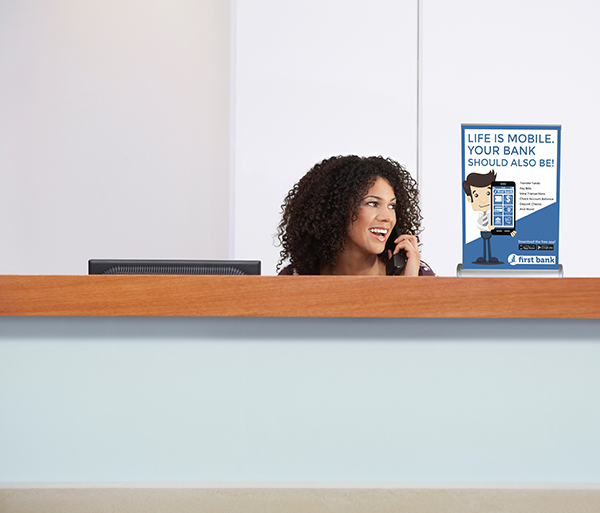 Ideal for adding messaging to tabletop displays.The Stellar comes in two sizes Letter 9.13”W x 11.75”H and Tabloid 11.6”W x 17.75”H.